For me it came in and shone a light on my mental self, the inner beliefs and compromises which had been part of my thinking, especially about myself, for so long that I had forgotten how they ever started in the first place. They had become unconscious stumbling blocks, accepted and assumed and as real as a stone wall. There were parts of life and the world that were not even open to me as possibilities because the past energies I carried with me had already made me blind to them. There was a solid, dusty picture frame in which I lived and anything not contained within the frame was therefore inaccessible to me. Somehow, in the weeks following the Reiki attunement, things in my environment and things in my mind shifted in ways that had me looking more deeply at crutches and comforts that I had clung to for years and years on my journey and also at new barriers that I assumed to exist because of my new role in motherhood. 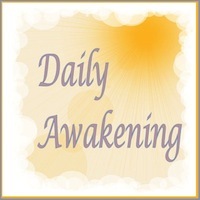 What Reiki asked me was, “Is it all true? Is it all valid? Is it all serving your highest good? If not, can you do more to change it then simply sitting back and complaining about it?” I assure you that these were some of the most profound changes in my own thinking that I have ever undergone. They rocked me to my core, gently, but still, I was rocked. Within a couple of months I had learned to give Reiki, not just for physical healing, but for calming others and bringing them toward their own inner peace. It helped me immensely during the final illness of our beloved cat Forrest, to be able to soothe his discomfort by giving him Reiki. Reiki was also simultaneously helping our household as we attempted to teach our infant son, Thoreau, to sleep through the night. I would lay beside his crib and send him calming Reiki whenever he awoke at night. Both transitions are complete now, but without the help of Reiki I do not think that either event would be remembered as being so imbued with love, connection and acceptance. Reiki blesses life with a sort of gentleness, a subtle and constant joy that, if you live in mindfulness, is tangible and real to you. Also, in the month immediately following my introduction to Reiki, I became inspired about my own physical & mental health. Yes, I have spent much of the past 5 years as a meditating vegetarian, I have occasionally given up gluten and dairy and I have shed some unhealthy weight. But, very little of this was self-motivated. I did these things to make others proud, to make others happy. Where was I in all of this? That is what I began to ask myself. What I needed was physical activity, I decided, and a higher self-esteem. And, surprisingly, this time it happened so easily, so effortlessly. I wanted to be active. I wanted to meditate and do affirmations. I wanted to make a promise to myself and stick with it. “Wow! That is something new,” I thought. So I went with it, creating a 79-day fitness plan for myself and becoming a long-distance walker virtually overnight. I joined a 40-day Global Sadhana and began saying the words from my heart instead of just my head. All of these things became so simple to sustain, because Reiki told me that I was finally being who I really am. And that feels good, very good. No need to question it or where the motivation might have come from…I am changing coal for diamonds here! 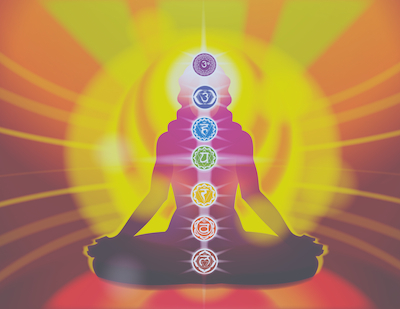 The thing about Reiki is that you often think that you are getting it just for yourself. You get a treatment or an attunement and you do this from a necessarily selfish place…like going to get a massage. That is something you aren’t doing for anyone else, just yourself. Well, one’s initial approach to Reiki is often the same. What I have found in the aftermath, though, is that Reiki doesn’t stop there. It has blessed my mind and my body, my home and my family in so many magical and practical ways that I found you cannot keep it to yourself. You really want to pass it on, to share the love. This is why I had to start offering Reiki healing to others, in-person or at a distance. It is not possible to sit with all of this peace and universal love and not be filled with a desire that everyone, everywhere could feel its effects in their own lives. “My cup runneth over,” as the Psalm goes. I am presently in the process of creating a divinely inspired “body doll” which my guides have suggested I make, using natural materials, affirmations, healing herbs and crystals at each chakra point, with an added silk “aura.” Anyone who feels the urge to contribute crystals to this doll, feel free to send them my way, their energy would be much appreciated. The purpose of the doll is to focus the intention and energy on the corresponding chakras in the person being healed, no matter how physically far away they may be. Reiki, as an energy healing modality, knows no distance. It originates from, and travels within, the divine space of all things, the world between worlds. In that world, as in this, we are all one, all connected. Time is non-existent there and love is the highest vibration, permeating everything. Energy transfer is instantaneous. These days my every moment in my life is somehow filled with Reiki, whether it be in my writing, my dealings with my son & husband, in my shopping or my cooking. The Reiki magic is indeed gentle, but so very real in its presence. I have studied magic and ritual in a few other forms, but the magic of Reiki energy is that it just is. It does not need bells or whistles to call it out of hiding or to psyche you up for conducting it. This is similar to the All, the Universal Source that we all come from. It is present in us in our low moments and our high ones, filling us with divine creativity and inspiration. We do not have to worship it in order for it to grace us, we are always graced with it. All that we need to do is to become aware of it and let it flow. No membership card needed. I do actively try to tune in to Reiki every day and to increase my vibration so that I may be filled with more of it. I allow it to whisper to me in moments when I would have previously gotten stressed-out or distracted. It helps me to stop old patterns before they actually arise, instead of getting carried away on a roller coaster ride and only then realizing what pattern I was repeating. In short, the mindfulness of Reiki in my life has broken several of my deeply-ingrained patterns and taught me about who I truly am, divine and loving. I also continue doing self-treatments, as is suggested for all practitioners, so that I can feel the loving grace and be cleansed in my own etheric body. It is this that brings an easier smile to my face and makes healing others possible. The words and intention of Reiki are my waking ritual now. Each morning I stand before my bedroom window, look at the trees and the sunrise and recite the Reiki affirmations, with deliberate intention. Just for today, I will be free from anger. Just for today, I will be free from worry. Just for today, I will be humble. Just for today, I will do good in my work. In this way, I invite happiness. These words really have helped shift my focus, giving me the positive intention to be a better “me” every day and also leaving me the freedom to not be that person, if I so choose. We are all saint and sinner, Reiki doesn’t ask you pretend otherwise. But we are all in charge of our own happiness and healing, that is what Reiki seeks to remind you. The world truly is filled with joy and opportunity, community and acceptance. Reiki can clear the fog of indifference from our eyes and open us to this truth in a very real way. It is given from the Universe for all to tap into and utilize. One touch, one affirmation, one attunement can bring it to your fingertips and empower you to empower others. If you feel at all drawn to Reiki, I recommend learning more about it, taking a healing or attunement, and allowing it deeper into your life. May you be blessed on you journey.